This membership category is designed to recognize individuals who have made substantial contributions to AAAP and to the field of Addiction Psychiatry. 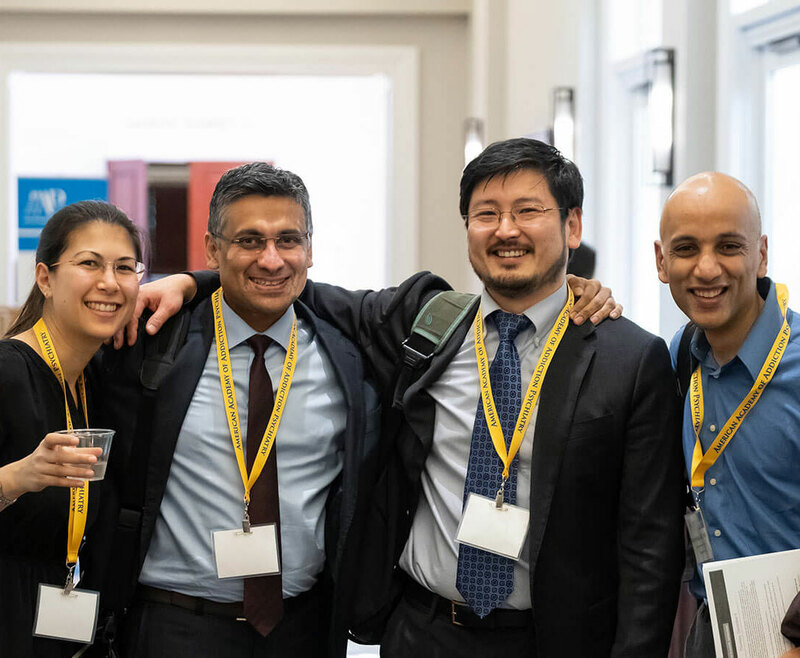 AAAP Fellows must be distinguished psychiatrists who have made a contribution of significant value to the field of alcohol and other drug addictions in the area of clinical work, teaching, research, and/or administration. The application process includes the submission of three letters of support, including one letter from an AAAP Fellow. All Past Presidents of AAAP have been given Fellow membership status, and therefore are eligible to write letters of support for those interested in applying. Outstanding leadership at the local, national/international level in administration, treatment, or education related to addictions. It should be recognized that this membership category is reserved for only those persons who are clearly highly distinguished in their contributions to the field and to the Academy. Any Regular member of AAAP can apply for Fellow status. Members of the Board of Directors and persons rotating off the Board shall follow the same procedures as all other members in applying for Fellow status, and shall be reviewed in the same manner and by the same criteria as all other members considered for Fellow status. The applicant should arrange to have letters of support, a copy of his/her Curriculum Vita, and a cover letter addressing the criteria (see above) submitted to the Executive Officer for review by the Committee. Following review of a completed application by the Membership Committee, recommendations are forwarded to the Board of Directors for final approval of Fellow status. Benefits associated with Fellow membership level are the same as those listed for Regular members. Please submit all application material to Lulu@aaap.org.